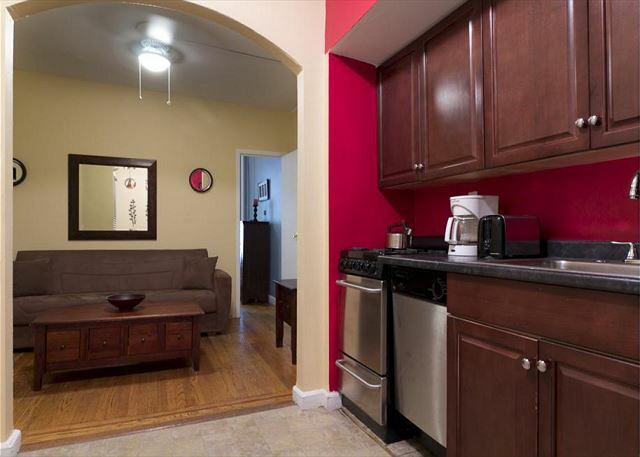 This Midtown East 1 Bedroom apartment in an elevator and Laundromat building will provide for a comfortable New York City experience. 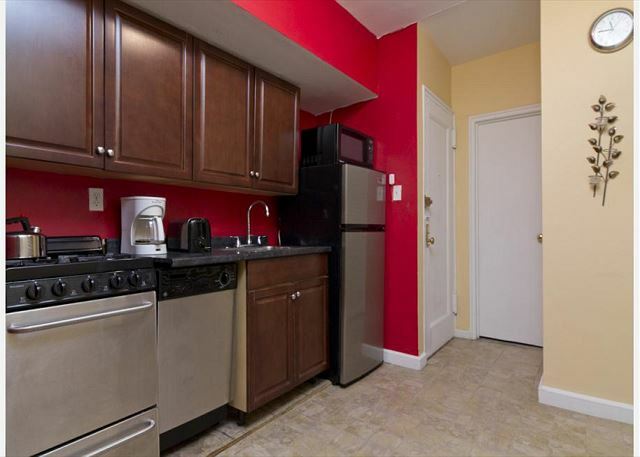 The fully equipped kitchen includes all the essentials for a convenient stay featuring stainless steel appliances (including dishwasher) and beautiful cherry wood cabinets. 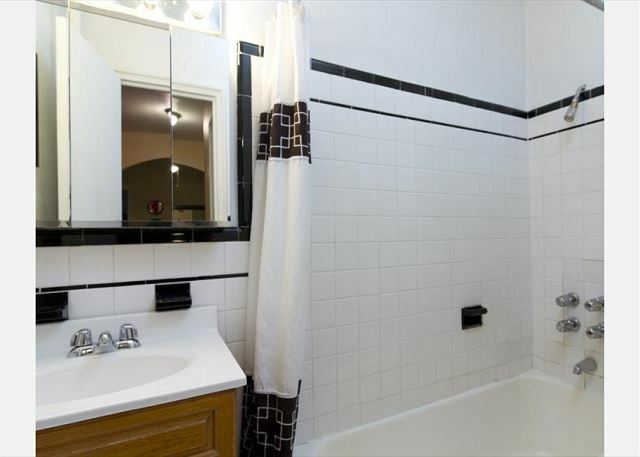 The white tile bathroom comes with towels included with your rental. 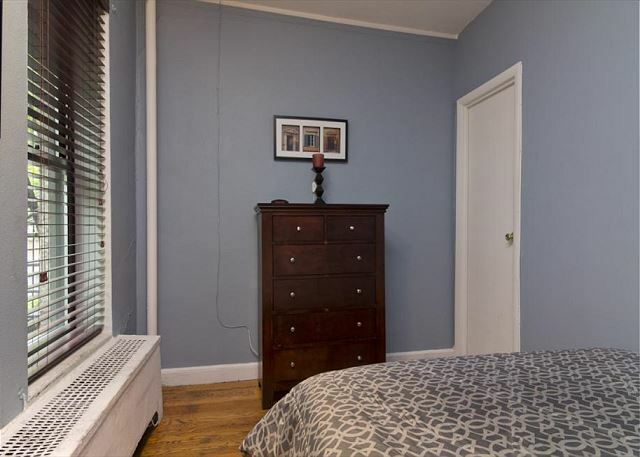 The One bedroom features a queen sized bed with wooden frame, matching dresser and nightstand. 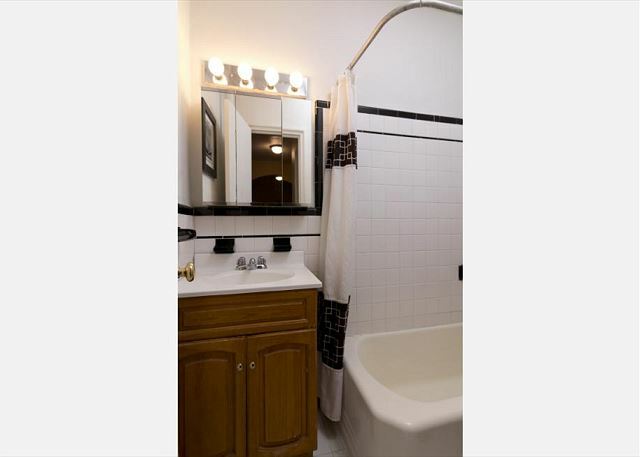 The area is conveniently situated in the heart of the city and near various famous landmarks such as the Chrysler Building, the headquarters to the United Nations, the historically rich Grand Central Station and St. Patrick’s Cathedral. 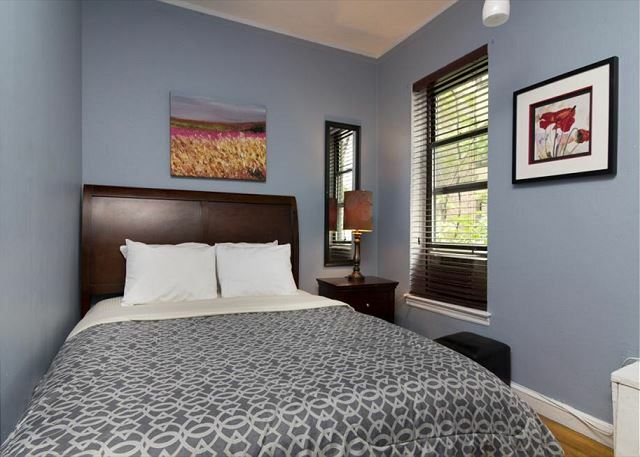 It is also one block away from the beautiful Greenacre Park that provides great contrast and serves as a site of relaxation for residents in the area. 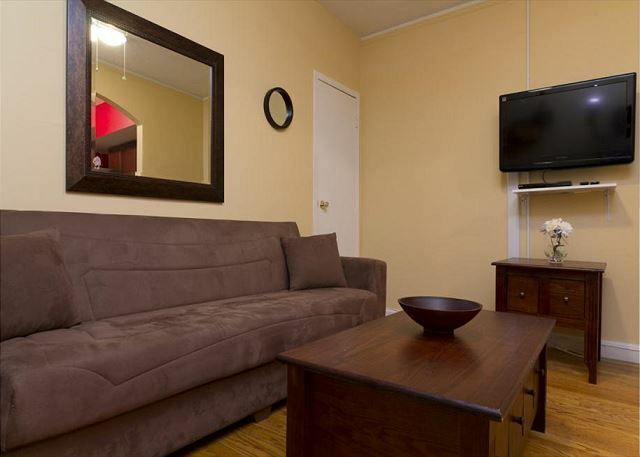 Access to Times Square with all of its lights and excitement is just a 5 minute cab ride away. 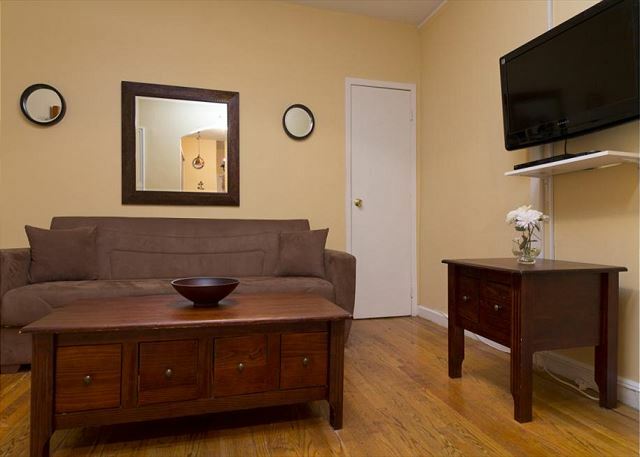 The apartment is close to mass transportation for convenient traveling all throughout the city for a worthwhile New York experience.